In an article for the Foreign Policy (7 May 2014), Colum Lynch reported that the Obama administration has decided to throw its support behind a United Nations Security Council referral of Syria to the International Criminal Court (ICC). Mark Kersten, LSE PhD Candidate specialising in conflict and peace studies and international criminal justice, comments on this shift in strategy by the US in a string of pieces on his blog, justiceinconflict.org. In his first post on May 7, Mark looks at what it means that a previously reluctant government has recognized that it is in its interests to publicly support an ICC intervention in Syria and what effect, if any, this change would have on the situation in the country. He then questions whether the ICC will accept a referral should the Security Council manage to refer Syria to the Court? If it does, which might be inevitable, he draws three ‘red lines’ that the court should be wary of. 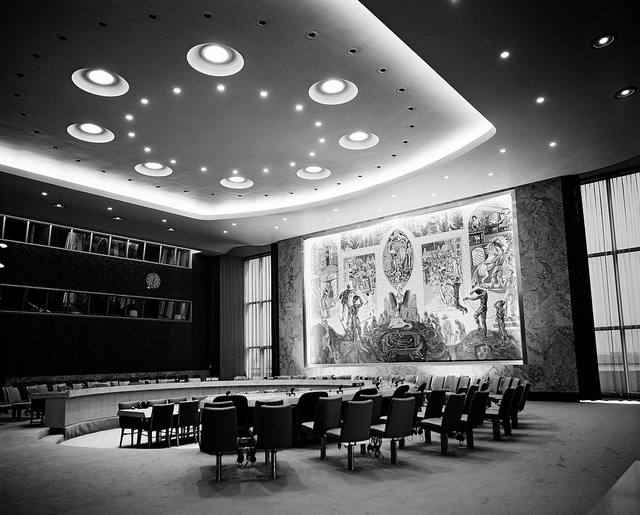 In a final post today, he offers an exclusive insight into the full draft of the current resolution being circulated at the Security Council on which he will offer a commentary in the next few days.